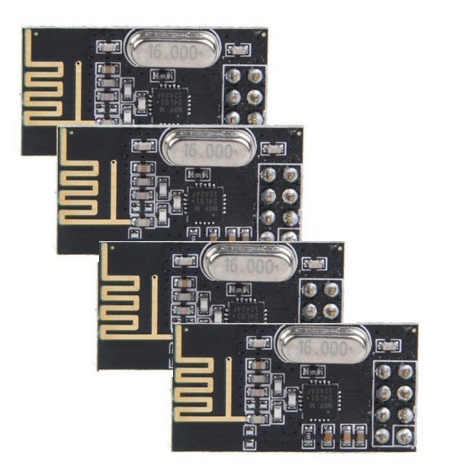 These modules are low power versions with a range off 60 meters maximum. I measured 20 meters running with the PA level High. This is the same distance I get with Bluetooth but there is no pairing involved! So a big pro is easier setup and a more stable long-time communication solution (I can reset the sensors any time) but I loose the possibility to use the Firmata protocol. I have to write my own protocol.